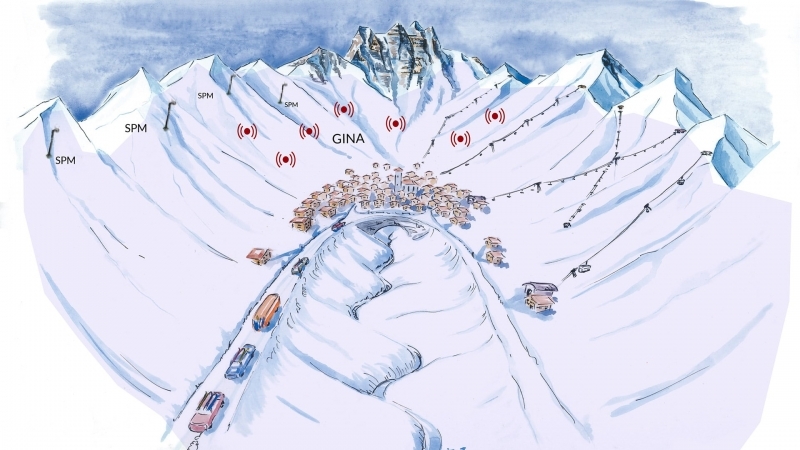 GINA® enables the monitoring of avalanche activities in specific avalanche paths. 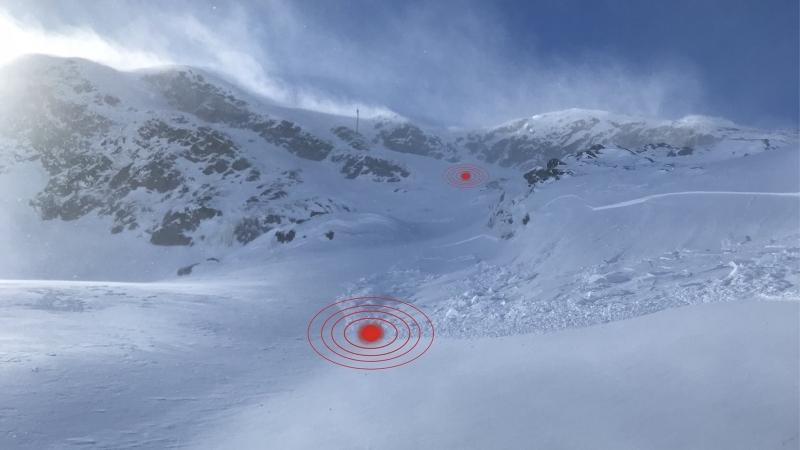 Fully integrated into Wyssen Avalanche Control Center WAC.3®, GINA® is a cost-efficient solution to control individual areas. 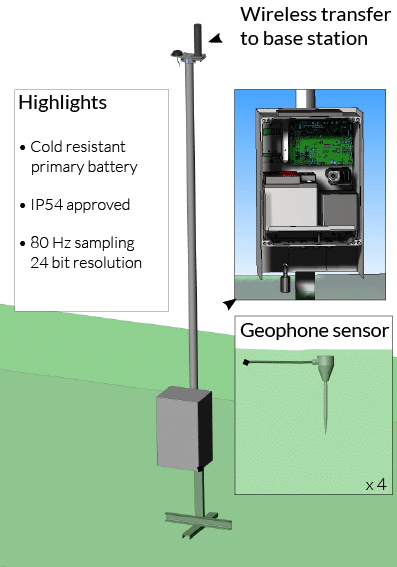 The geophone system consists of a central unit and one or more geophone sensing units. 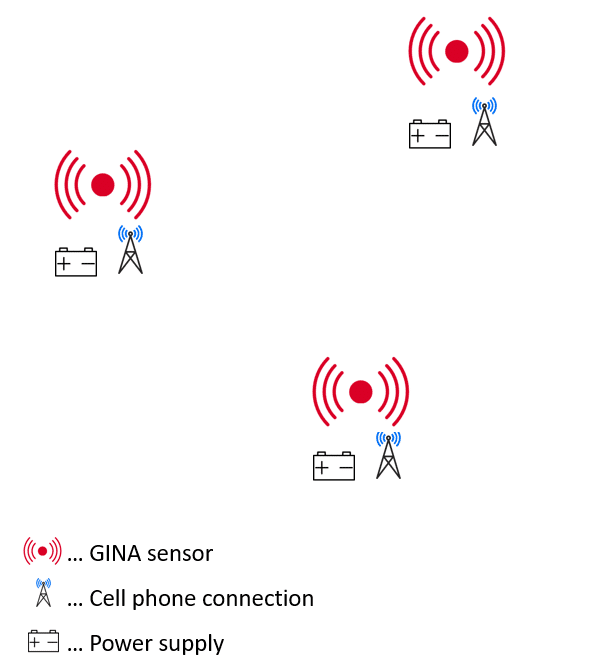 The central unit is responsible for communication with warning-systems while the sensing units continuously record and evaluate the ground vibrations. The sensing element needs to be coupled with the ground. To achieve this, the unit is put into the ground and connected to a small box which contains the rest of the geophone sensing unit. The sensing unit samples the sensing element 80 times per second. The measurement is performed with a resolution of 24 bits and can detect very small vibrations. A simple but effective STA/LTA trigger is used to detect any event. The sensing unit doesn’t distinguish between avalanches or rockfall this filtering is done later in the base station. The basic STA/LTA trigger is defined as a threshold of the ratio between short term average (STA) and long term average (LTA). 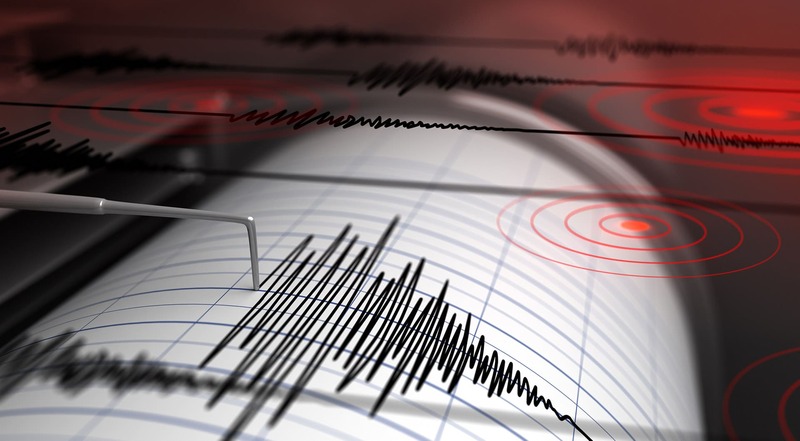 This results in a trigger which will catch all events of a certain magnitude while being unsusceptible to slow changes in ground vibration amplitude. 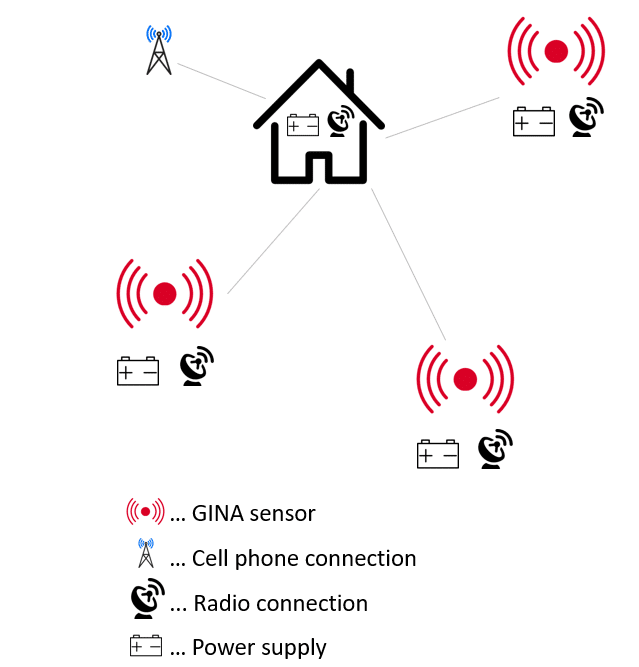 As soon as the trigger is activated the system wakes from its very low power state to a fully operational state and records all the data and sends as much as possible to the central unit. The central unit then has to decide whether there was an avalanche or whether it was some other sort of signal which activated the trigger.